Finding a balance between a sandwich that is healthy for your kids and one that they will enjoy is a challenge faced by all parents. If this sounds familiar, your local bakery in Goldsboro, Great Harvest Goldsboro, NC is here to help. 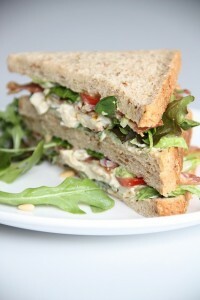 In this post, we have prepared two tasty sandwich ideas which are also healthy that your children will love. Kids love the taste of peanut butter, and with good amounts of protein, potassium, and Vitamin E, it can be a great healthy snack. To build on this favorite, add a few carrot slices for some Vitamin C and Vitamin K, along with iron. For the inclusion of Vitamins A and B6, slice up a tomato and place it over the top. While it may seem simple, the taste is sure to excite their taste buds. A favorite amongst adults, the flavors and health benefits of this sandwich make it an appealing kids lunch box addition. Mash up an avocado and spread it on your bread. Add a few slices of roasted chicken, some grated cheese, and tomato slices and you have yourself a sandwich that is sure to satisfy their taste buds. Apart from a delicious taste, Chicken is a great source of protein, and avocado offers more potassium than bananas. The grated cheese is a good source of Vitamins A and B2 while the tomato gives their system a boost of Vitamin C.
Ensuring your children eat a healthy lunch all starts with slices of a healthy and fresh bread from your local bakery in Goldsboro. Head into Great Harvest Goldsboro, NC or give us a call at 919-288-2401 to find out which tasty and healthy bread has been baked fresh today.